One of boxing’s most enduring tropes is that of the prizefighter who punches his way out of the depths of poverty and obscurity and into a life of riches and success. Throughout the sport’s long history, countless pugilists exemplify that cliché, to the point that those of us who follow the sport as spectators, by virtue of overexposure, risk becoming desensitized to just how much effort it takes—and how many setbacks have to be overcome—by those who succeed in such a quest. It bears reminding that, even when realized, the cliché itself is many times only half the story. 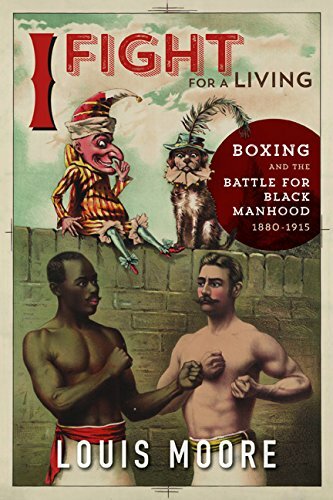 Louis Moore’s I Fight for a Living: Boxing and the Battle for Black Manhood, 1880-1915 is the perfect corrective against that risk. In his conscientiously researched book, Moore presents a lively portrait of the boxing landscape at the turn of the twentieth century, but more than that, he successfully places black prizefighters in their proper socio-cultural context. To do this, Moore takes a close look at the conditions under which the most famed and skilled black boxers of that time entered the world of pugilism, and how they achieved success in the ring, despite the extreme racism which afflicted both pugilism and society in general. Moore mixes historical sources–such as fight recaps, interviews, editorials and news clippings published at the time by daily newspapers from all over North America–with the assessments of assorted historians, including those specializing in boxing. At times, this approach gives I Fight for a Living the feeling of an oral history, rendering vivid the life and times of such fighters as George Godfrey, Peter Jackson, Jack Johnson, Sam McVey, Joe Gans, and Sam Langford, to name a few. What boxing represented to all those fighters–and to many more whose names weren’t destined for long-term remembrance–was, first and foremost, a way to earn a living. This is not surprising considering options were severely restricted for the black population searching for a way to survive in post-Civil War America. Racism, much of it institutionalized, prevented blacks from climbing up the social ladder, if they were allowed to place their hands on it at all. 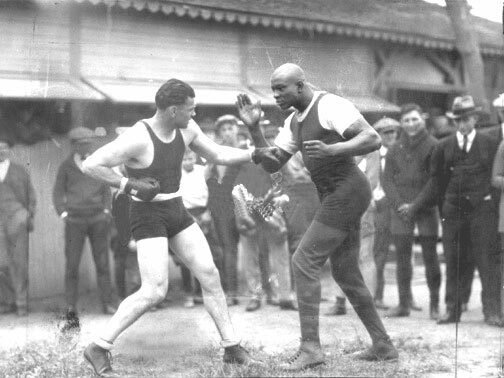 George Godfrey (right) was often employed to be the chief sparring partner of Jack Dempsey. But prizefighting found itself in hot demand. 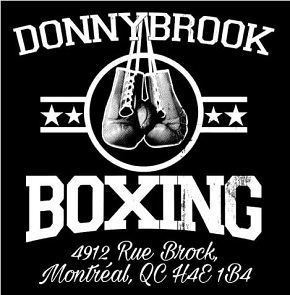 This created an opportunity for black fighters to prove their fistic worth inside a ring and be rewarded for it. It’s a bittersweet irony that the most demanded fights at the time–the ones that garnered the largest purses for both white and black fighters–were interracial fights. This is because the richest audiences for prizefights were composed mostly of whites, and their top priority when attending a boxing card was to see a white fighter defeat a black one, thus confirming their belief in the supposed superiority of their race. This is the reason fight promoters would often precede a main event in which the black fighter was expected to beat a white fighter with a battle royale, in which several black fighters were placed in a ring at the same time to see who would be the last man standing. If the idea of such a spectacle disgusts us today, we can take solace from what transpired after it was over, that moment when the two main event fighters entered the ring and a black fighter achieved something resembling full equality, having at last been granted the opportunity to stand shoulder-to-shoulder with a white fighter before, more often than not, as Moore shows over and over, securing victory. 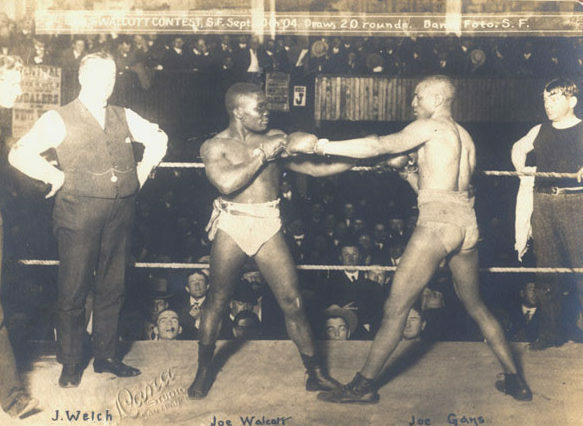 Gans (right) poses with fellow all-time great Joe Walcott before their bout. But to get their shot at the largest purses granted for facing white fighters, blacks had to hone their skills against all the other top black opponents who were also waiting in line. 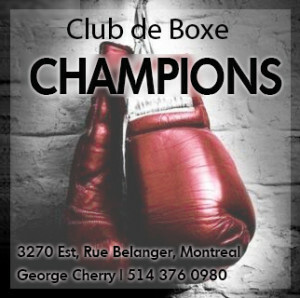 “Colored championships” were thus created with the specific goal of finding the best black fighters at the different weight classes. Thus, the public could more clearly identify who the white “world” champion was avoiding and determine which black fighter most deserved a shot at the champion, in case the latter decided to grant such a shot. This resulted in top black fighters fighting each other again and again, sharpening their boxing acumen for peanuts, always aware that a bad outing or a tough loss could send them all the way to the back of the queue. All the while, the white champion disposed of lesser competition for easy paychecks, while at the same time asserting whites dominance over blacks by denying them the opportunity to compete for the legitimate title. 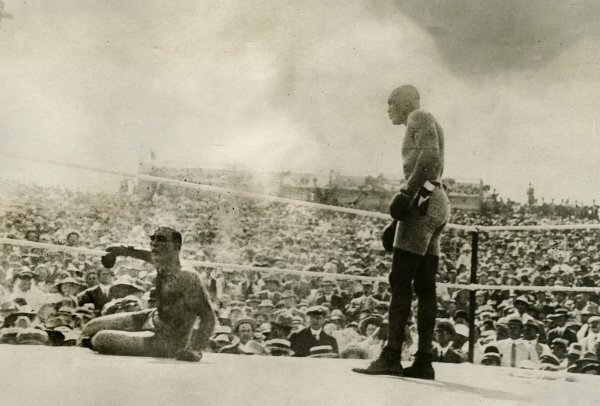 Jack Johnson dominating Tommy Burns in the “Fight of the Century”. White champions might not have been very willing at the time to trade blows with black fighters, but the amount of opponents black pugilists found outside the ring was remarkable. The white boxing public, for example, seemed to enjoy a love/hate relationship with black fighters, on the one hand admiring their skills, fighting acumen and even their chiseled bodies, but on the other hand, they detested to see black fighters beat on white ones, turning on them the moment they did. Meanwhile, the white media often alternated between portraying black fighters as submissive, carefree Sambo caricatures, or denying them their humanity as a result of their triumphs, assigning their ring superiority to savage, animalistic characteristics. It’s a point that Moore not only makes, but documents extensively, by quoting plenty of dailies from the times and by reprinting some of the appalling newspaper cartoons that were standard fare at the time. 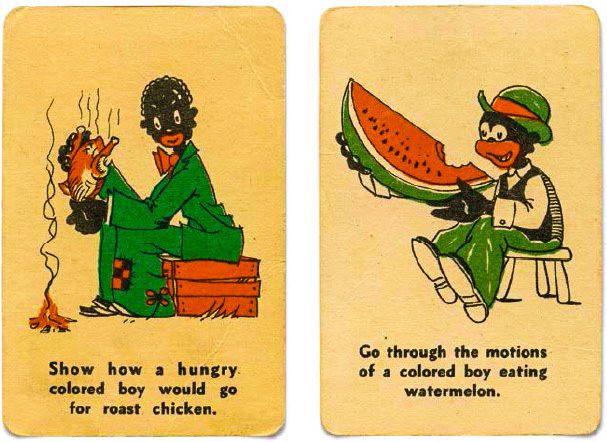 Attitudes towards African Americans during this time were lamentable, to say the least. And then there were the conflicts between black fighters and the different factions within black society. 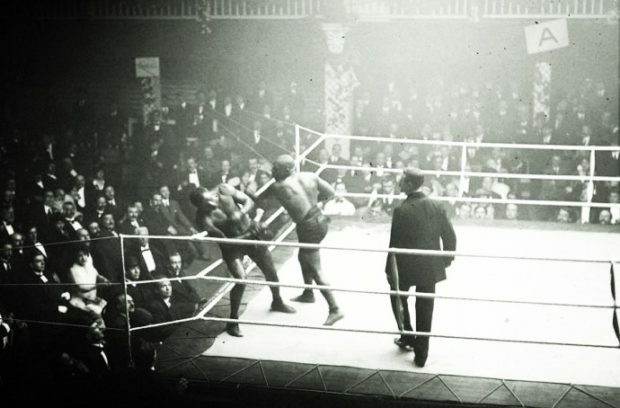 While black elites didn’t care much for prizefighting in principle, they couldn’t help but latch on to the success of triumphant black prizefighters and attempt to make a role model out of them, only to drop them the instant their behaviour outside the ring didn’t conform to their standards. As for the lower black classes, they expected their ring idols to live the life of a good fellow, spending money left and right, gambling, partying it up, and signaling their success through flashy clothes and possessions. Tellingly, the dichotomy between becoming a role-model or living it up in the fast lane has followed black athletes well into the 21st century; as such, Moore explores this concept in depth in his book. But perhaps the greatest strength of I Fight for a Living, at least for fight fans, lies in the way it fills in the holes of the boxing history most of us are familiar with from that era, which usually revolves around the lineage of the crowns. But, as Moore makes abundantly clear, the black-dominated periphery of the title picture is a rich source of compelling material both for historians and for those who just want to hear a good boxing story. 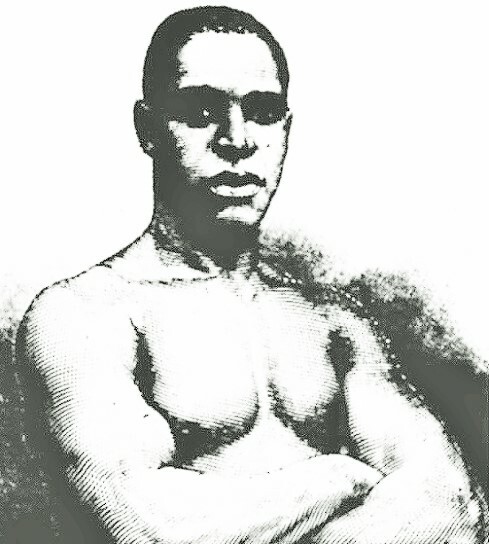 Jack Johnson faced prejudice inside and outside the ring. It’s enough to make any modern “controversial” boxing episode look like a Sesame Street episode–notwithstanding Mike Tyson’s ear-biting–but it also serves as a reminder of prizefighting’s troubled nature and history. 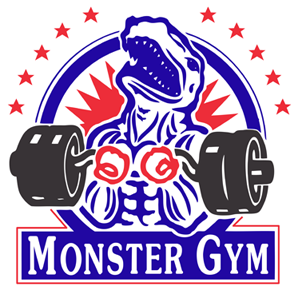 Moreover, it illustrates the lengths prizefighters were willing to go, and the risks they were willing to take, to make a name for themselves in such a turbulent industry. In a time when securing big fights, ie. interracial fights, was a perennial problem, black fighters’ greatest asset became their reputation.